Looking for transmission repair near me? You’ve come to the right place! 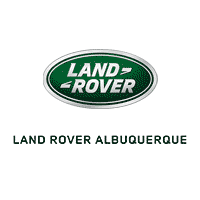 Our full-service transmission shop at Land Rover Albuquerque provides an auto service center that is trusted and equipped to take on even the most major maintenance issues near Albuquerque, Rio Rancho, and South Valley. No matter what maintenance issues come up for you down the road, our highly-trained and experienced auto technicians have the skills and knowledge to tackle problems from simple oil changes, to transmission repairs and replacements, and everything in between! Our goal is to make sure your vehicle is up and running like new for years to come. That’s why we want to ensure that we have you covered on all ends—from the simplest procedures, to larger part replacements. One of the ways our auto shop helps you keep your vehicle in top notch condition is by offering Prepaid Maintenance Plans. These plans help to remind you when it’s time for your next oil change, tire rotation, transmission service, or any other routine maintenance service. These Prepaid Land Rover Maintenance Plans also include services that’ll help keep your vehicle on the road, like brake fluid replacement, checking tire pressure, inspecting brake pads and battery condition, and more! We’ve mentioned that we’re a full-service auto center, which means that we take care of any and all maintenance needs that might come up for you. This also includes offering you the right, high-quality parts if you like to take on your auto issues at home! Our parts center is the place to go for any and all of your needed parts. By purchasing parts through us, you’re guaranteed the best quality items for your vehicle. Ordering is super easy, too, with our online form! Just fill out some quick information, and we’ll have your parts ready for pickup in no time. 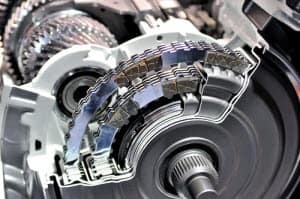 Schedule Your Transmission Repair near Me! If you feel as though your vehicle is in need of transmission repair, schedule an appointment with us at Land Rover Albuquerque today! We proudly serve the areas of Albuquerque, Rio Rancho, and South Valley, and will be happy to get your vehicle running better than ever.